rowning up in a big Italian family on her father’s side, it was hard for Lucinda Scala Quinn not to be psyched about food. Her mother, Rose, always cooked simple, fresh food for her family. Lucinda’s love of cooking started at those family meals and blossomed into a career as a chef, cooking teacher, caterer, author and food writer. Scala Quinn is currently the Executive Director of Food and Entertaining at Martha Stewart Living Omnimedia, host of a weekly food radio show EatDrink and former co-host of Every Day Food. Scala Quinn has written three books, Lucinda’s Rustic Italian Kitchen, Lucinda’s Authentic Jamaican Kitchen and MAD Hungry: Feeding Men & Boys, out in 2010, that all feature the food I cook and love: recipes big on flavor and low on fuss. Scala Quinn will star in a new television show, MAD Hungry with Lucinda Scala Quinn, which explores Scala Quinn’s continuing journey as a mom on a mission to bring back the family meal and do it in an accessible, affordable and easy way. She admits that we all lead busy lives nowadays but our meals with our loved ones shouldn’t suffer. 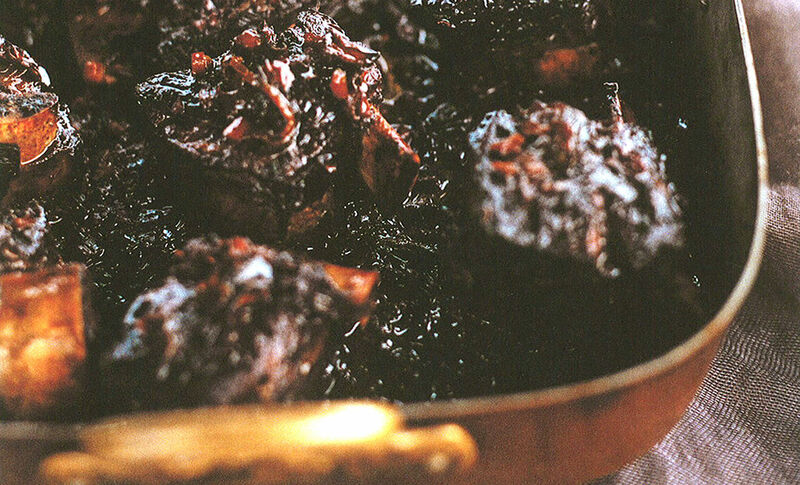 These ribs are, indeed, luscious, braised slowly in red wine and soy sauce with garlic and thyme. 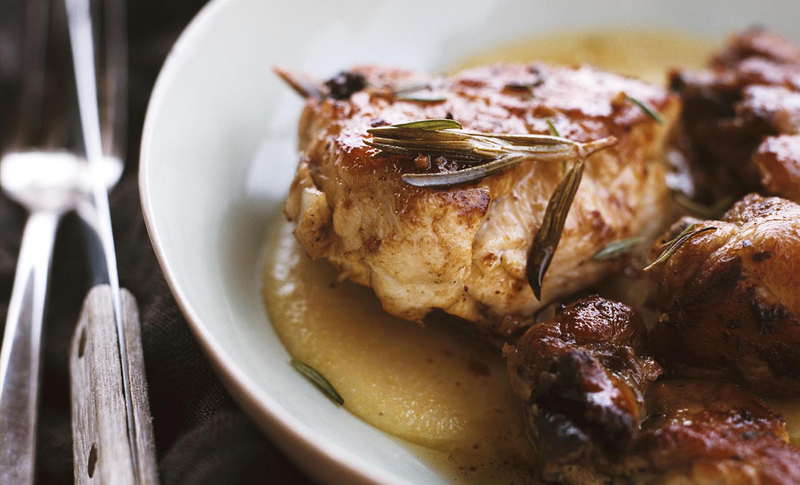 Lucinda Scala Quinn is a busy, working mother and a renowned recipe developer. She knows how to pack as much flavor into one dish--as with this sweet-and-sour chicken that is a staple at her dinner table. 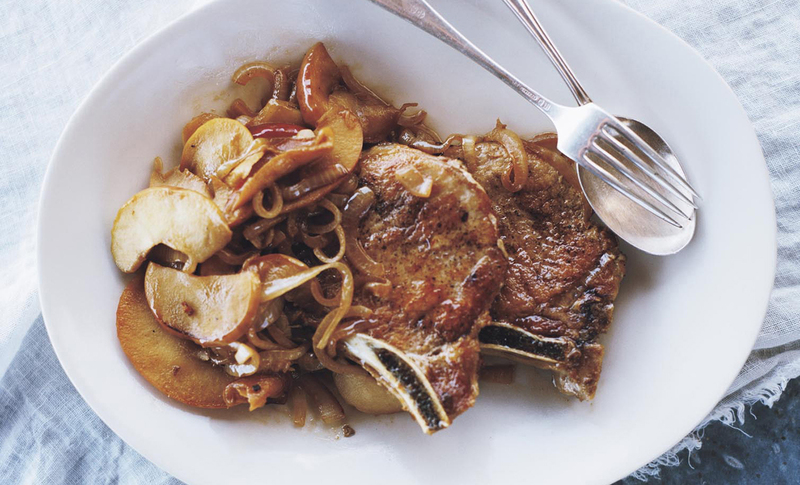 Try this quick and easy recipe for pork chops with apples for a satisfying weeknight meal that is sure to become a family favorite.